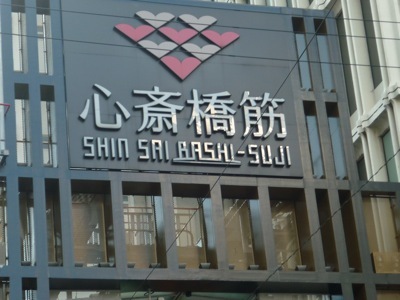 Shinsaibashi (心齋橋) is considered one of the largest shopping areas in Osaka. Mind you, it is crowded as well. There are many stores from big to small. The best thing is the whole street is covered. So you can shop in peace rain or shine. With the time limit given, we didn’t even finish walking the whole street. My wife bought a jacket from Uniqlo for about ¥2000. 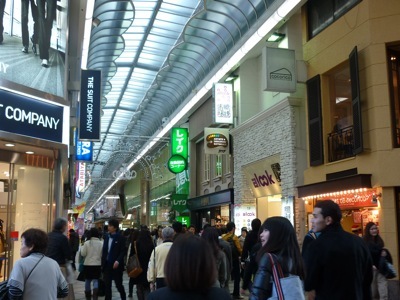 For foreigners, you are entitled to a 5% tax redemption at certain shopping centers. The only thing you need is show them your passport. For dinner, we dined on the 33rd floor of a building which I didn’t know the name. It is an excellent place for diners to enjoy sunset and Osaka’s skyline while having dinner. We had steamboat there but the choice was limited. Later we checked in Sheraton Miyako Hotel, Osaka for our first night in Japan. It was a long day after the flight and what we needed most was a comfortable bed and a good rest.